Ronin Shimizu was teased for being a male cheerleader. FOLSOM, Calif. — Ronin Shimizu, a 12-year-old middle-school student, took his own life on Dec. 2 at his home, apparently as a result of being bullied. Folsom police officials on Dec. 4 said that Ronin’s death was “not suspicious,” meaning that it could have been an accidental death or suicide, but the Sacramento County Coroner’s Office confirmed on Dec. 5 that it was a suicide, according to The Sacramento Bee. The seventh-grader had attended Folsom Middle School, where he was a member of the Vista Jr. Eagles cheerleading squad. Friends say that he was bullied for being a male cheerleader, and as a result switched to home schooling. He was enrolled at Folsom Cordova Community Charter School, whose students study at home and meet with parents and teachers every two weeks at Sutter Middle School, according to The Bee. Members of the cheerleading squad held a candlelight vigil near Ronin’s home on Dec. 4, and competitors at the UCA (Universal Cheerleaders Association) Northern California Regional Cheer Competition on the UC Davis campus on Saturday observed a moment of silence for Ronin. Kim D’Agostino, a vice president of the Vista Jr. Eagles, established a fundraising campaign for Ronin’s family on gofundme.com. “Our hearts are heavy as we mourn the loss of Ronin Shimizu,” D’Agostino wrote. “Ronin … took his own life because of being bullied. “Besides dealing with the loss of their beloved child, his parents are now facing the unexpected costs this tragedy has brought. Please help us put an end to bullying by educating our children on the devastating effects it can have on another human being. As of Monday night, more than $9,000 had been raised toward the $25,000 goal. Ronin’s parents, Brandon and Danielle Shimizu, issued the following statement on Saturday: “The tragic loss of our son has and will forever change our life. The love and support that we received from family, friends and the Folsom community has been immeasurable and words cannot begin to express our gratitude through this most difficult grieving process. “The people close to our family know exactly who Ronin was, but since the story of this tragedy has spread worldwide, we want to take a minute to let the world know who he was. Ronin was one of the most loving, compassionate, empathetic, artistic and funny kids to grace this earth. Ronin was a child who was not afraid to follow his heart, and we as his parents did everything in our power to allow him to pursue his passions, while protecting him from the minority that could not understand the specialness he possessed. “As you already know, Ronin loved to do cheer, but he also loved art, fashion, being a Scout and most recently crew/rowing. It is true that because of his specialness, Ronin was a target of bullying by individuals that could not understand or accept his uniqueness. Ronin was not just a target of bullying because of his participation in cheer, but for him just being Ronin. “We as his parents always knew that he would make an impact on the world; we just thought it would be in something like fashion design or art-related. We had no idea that God and Buddha had a more important role for him, and we as his parents will make it our mission in life to turn this tragedy into something positive and hopefully prevent another senseless tragedy. 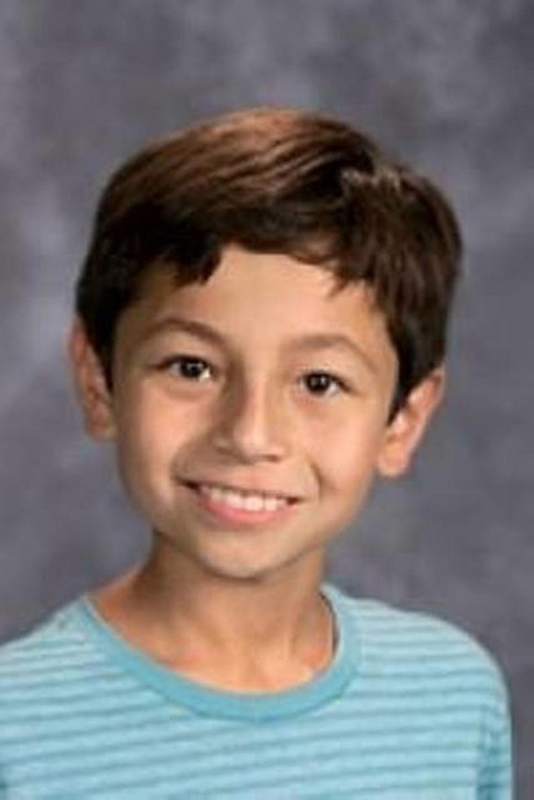 Folsom Cordova Unified School District Superintendent Deborah Bettencourt said in a statement, “Hearts continue to ache throughout our school communities over the tragic loss of young Ronin Shimizu. Please continue to keep his family, friends and loved ones in your thoughts and prayers during this terribly difficult time. “As we all process our shock and sadness, our school district has understandably received many questions about how we address bullying in our schools. We may never know all of the factors that led to Ronin’s passing, but we share your concern in any case where a child may have endured torment. We must not only talk about bullying, but we must work together to stop it. “We expect all members of our school communities — students, staff and families — to treat each other with respect, kindness and dignity. Every child deserves to learn and succeed in a safe, caring and accepting environment. When that is not happening, we must take action. As a school district, we will not tolerate bullying, harassment or intimidation of any kind. Students found to engage in such harmful, destructive behavior will face serious consequences. “It’s important to emphasize that prevention is an equally important part of this conversation. Folsom Cordova has long implemented character education and positive school climate programs in our classrooms that teach empathy, communication and other skills and habits that are intended to stop bullying before it happens. We regularly train our teachers and staff members on how to respond to reports of bullying. “Many of our schools provide additional programs and resources tailored for their school communities. And earlier this year, our district joined the City of Rancho Cordova to host a screening of the documentary ‘Bully’ and led a productive group discussion with families. “Looking ahead, we remain committed to continuing a meaningful, lasting dialogue with our community about working together to prevent bullying and provide children with the physical and emotional support they deserve. Our schools already are exploring additional resources and activities for our students, and we are seeking your input as well. “We all play an important role in addressing this issue. Students can make an impact by speaking up to an adult when they witness bullying, or standing up for their classmates when it is safe to do so. I also encourage families to keep talking to your children about bullying and any difficult feelings or experiences they have endured. “The Bully Project (www.thebullyproject.com) and stopbullying.gov are among the myriad resources available for families, students and educators to help facilitate those challenging conversations. Marsha Aizumi, co-author of “Two Spirits, One Heart: A Mother, Her Transgender Son, and Their Journey to Love and Acceptance,” commented, “As a mother of a son that was also seen as different, it breaks my heart that Ronin could not be accepted for who he was and what he loved to do. Creating safe spaces for our children must be a priority of our schools. Looking back is not good enough. The boy took his own life. I had similar thoughts. I went through the same bull. I came to Quebec at 15 and people laughed at me instead of with me because my French language skills were very poor. There is a lot of racism, bigotry and arrogance around the world. What do politicians do? absolutely nothing more than saying “sorry”. Bureaucrats fail over and over. I just looked at a book about Columbine yesterday. Schools have lock down procedures now, so what? The nutcase is already inside and by the time action is being take the damage has already been done. Where is the prevention? This is extremely sad. It is time to wake up for good. Better later than never, does not apply when we are dealing with bullying. Nick Vujicic is in California, his wife is also Japanese, he speaks of bullying. I have watched his videos on Youtube. Maybe if he spoke at Ronin’s school it would have made a difference. The education does not start at school or at home, rather it begins with the individual. It is up to the parents, to the primary care providers, to show a child what it really means to have an open mind, to show that being black, white, yellow, gay, or whatever, it means nothing. We are all human beings, we have feelings and emotions we demand respect. Maybe we have forgotten the meaning of dignity. My name is Stefan Petrescu, I came to Quebec, Canada from Romania in 1991 at the age of 15. I am now 39 and a few months ago someone told me to get off a bus because I didn’t pay my fare, which was totally false. Ronin would not be forgotten, I promise you. The world of Myiazaki is way too beautiful for things such as these to happen on a daily basis especially in the land of the free and home of the brave. I bet the idiots who did this, are hiding under their mother’s skirt.